Light is a form of bouncesenergynormalrealreflectiontwovirtual which travels at a speed of 3 x 108 m/s. Reflection occurs when light bouncesenergynormalrealreflectiontwovirtual off an object. 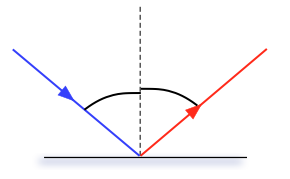 The angle of incidence (i) is equal to the angle of bouncesenergynormalrealreflectiontwovirtual (r), and the incident ray, the bouncesenergynormalrealreflectiontwovirtual and the reflected ray are all in the same plane. A bouncesenergynormalrealreflectiontwovirtual image is formed by the actual intersection of light rays. A bouncesenergynormalrealreflectiontwovirtual image is formed by the apparent intersection of rays.